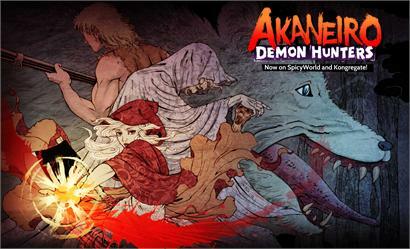 We’ve been keeping you up to date on all things Akaneiro and now we’re happy to inform you that Akaneiro Demon Hunter from Spicy Horse is now live. You can join in on the free to play Action RPG at Spicy Horse or by means of Kongregate for PC or MAC. Akaneiro currently features 20 maps and content with more on the way, including Steam integration. The game is available for free but another option is a one time $20 “unlock all maps” fee that grants access to all content and maps to the impatient immediately. The Akaneiro Kickstarter is coming to an end soon and has acquired over $160,000. If the Kickstarter reaches its goal, mobile and Linux versions of Akaneiro as well as co-op will be made available in the future. Akaneiro is based on Red Riding Hood and steeped in Japanese mythology and folklore. It was developed by American McGee’s Spicy Horse and is available for download here.